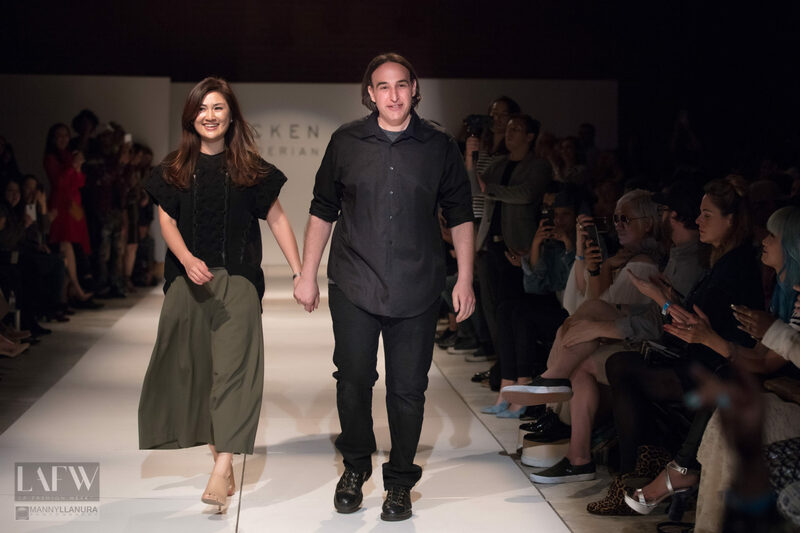 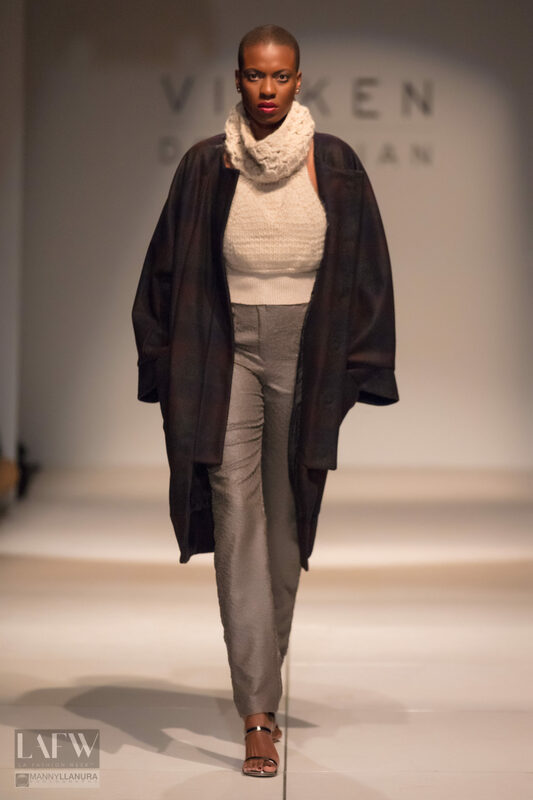 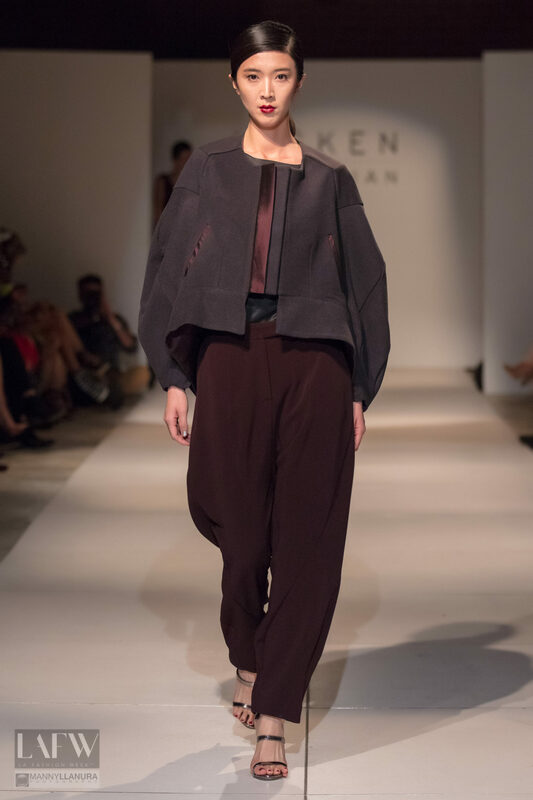 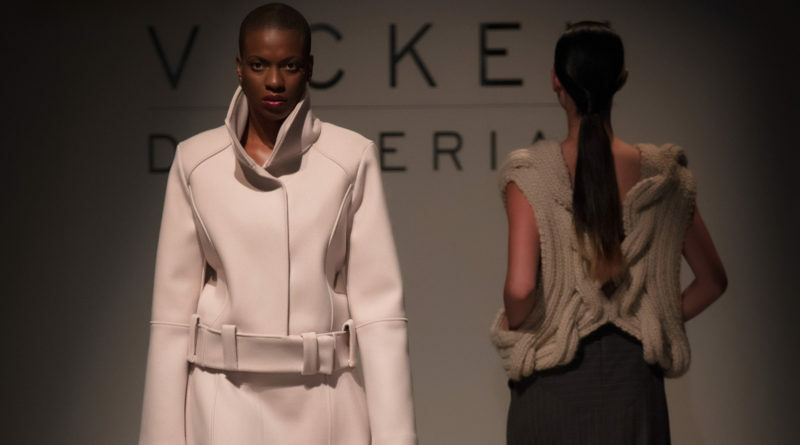 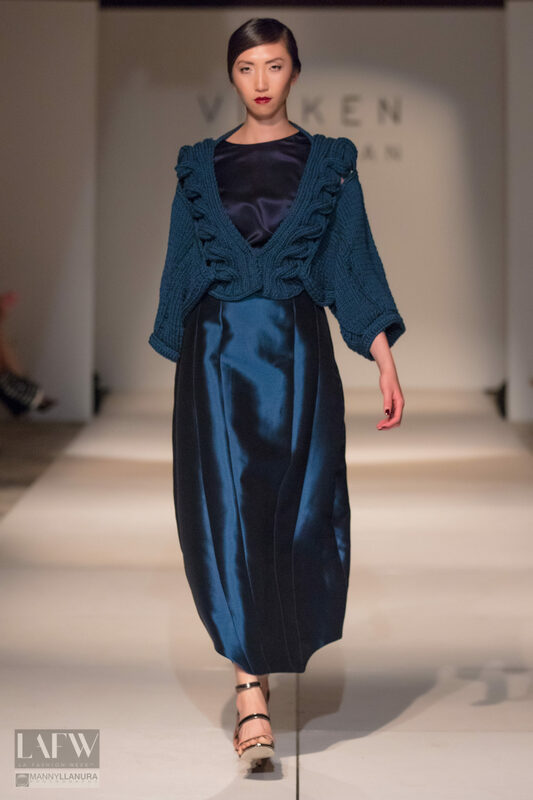 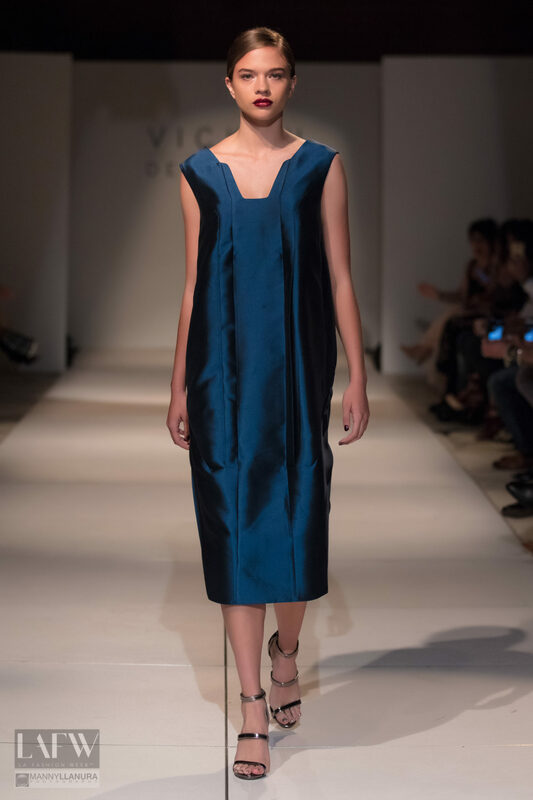 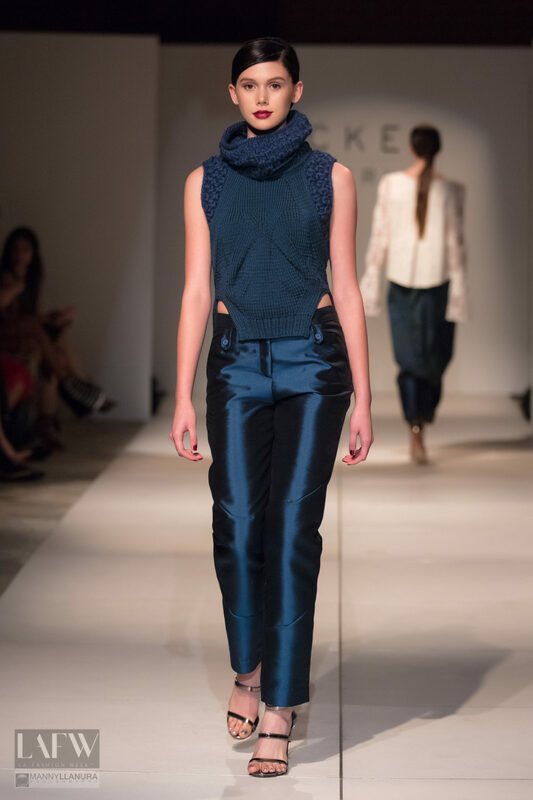 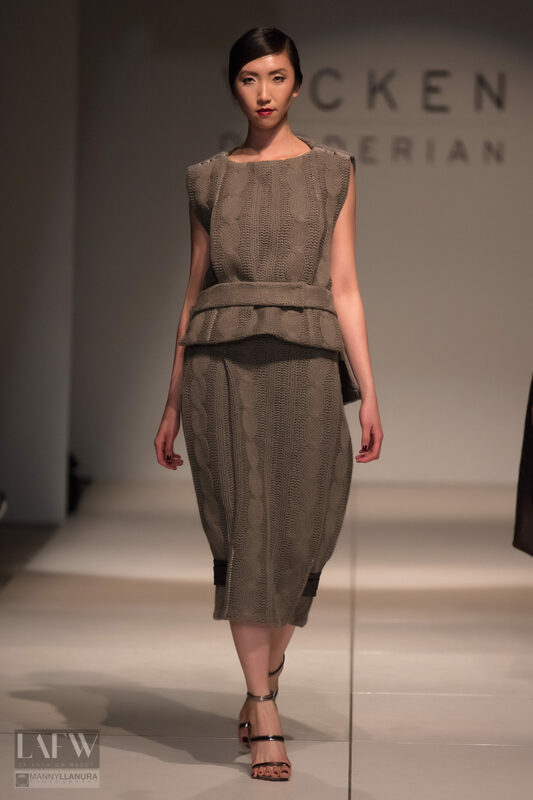 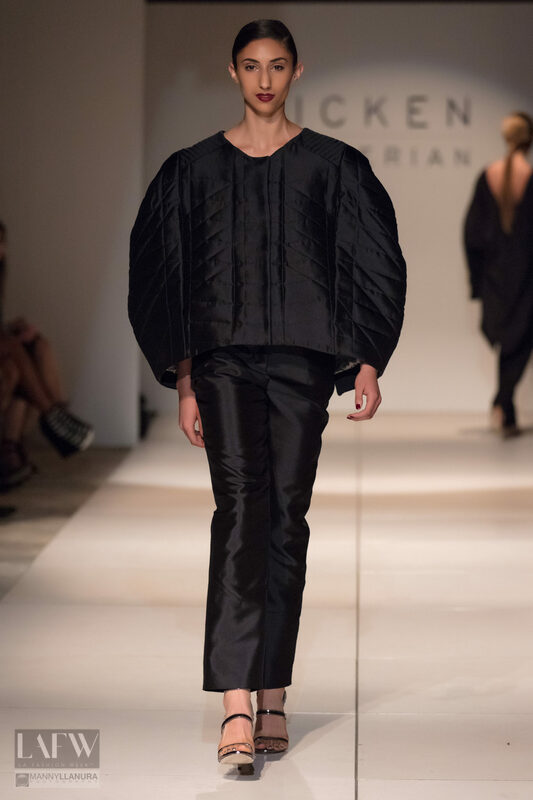 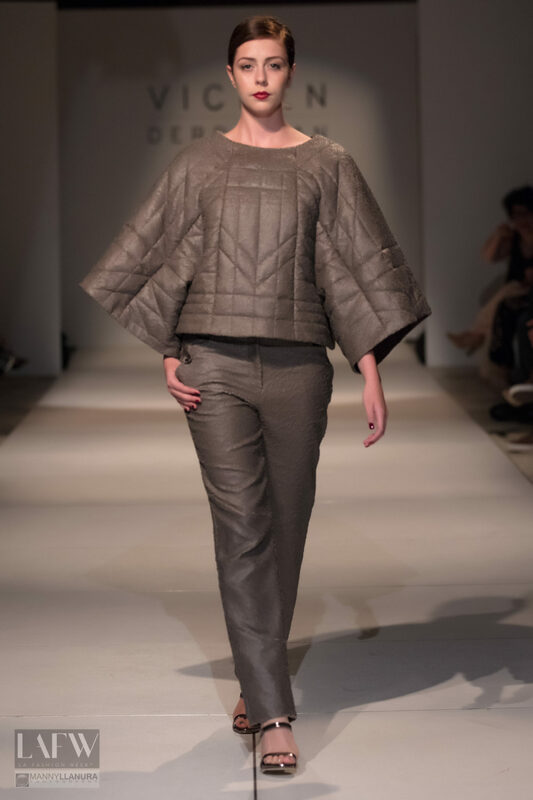 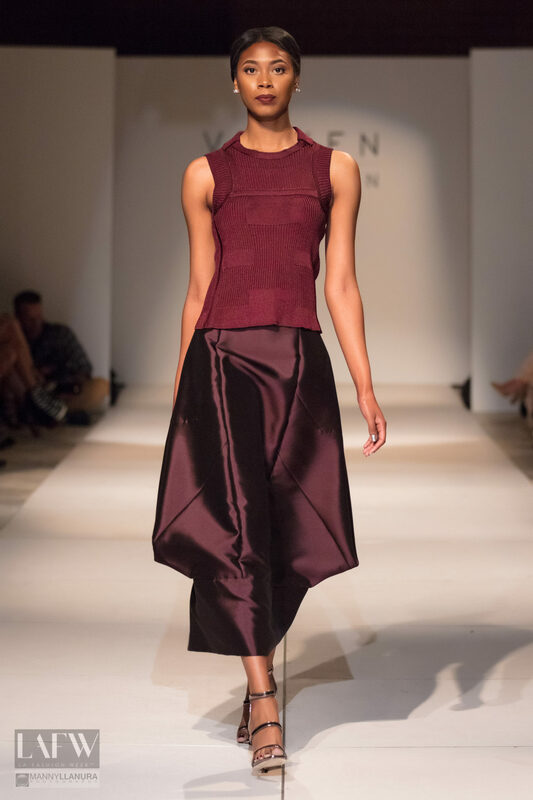 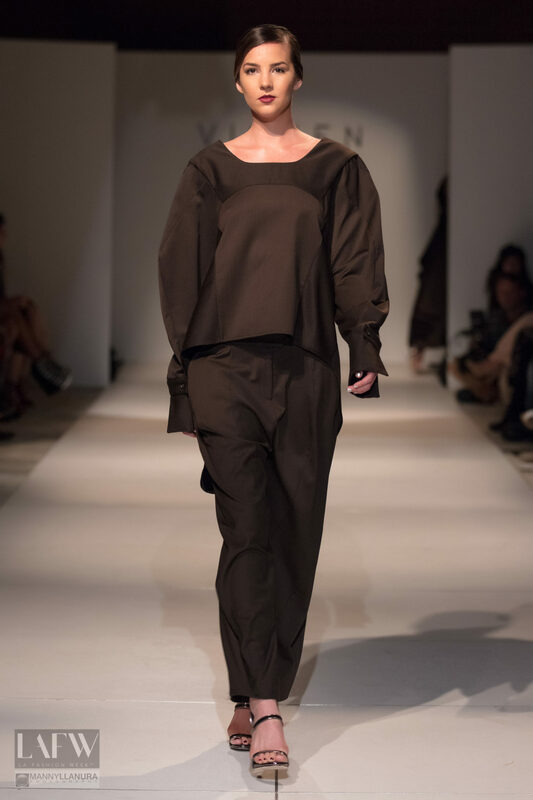 Los Angeles designer Vicken Derderian, together with his design partner Kyung Hwa Kim presented their Fall and Winter collection at the LAFW event in Hubble Studios. 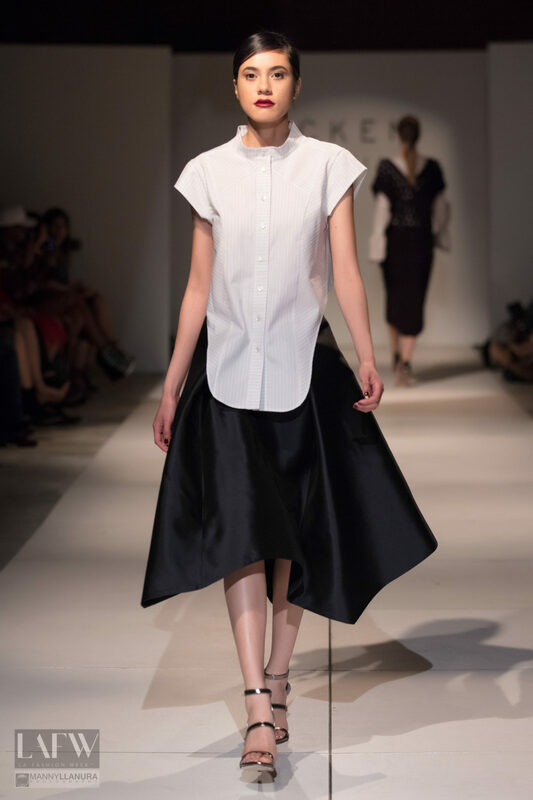 Themed “Women in flight”, it embodies women breaking the proverbial glass ceiling. 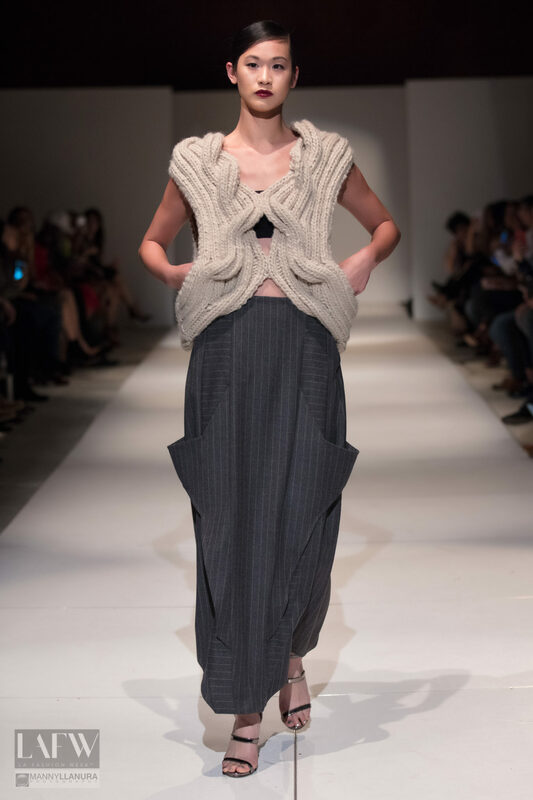 Targeted at the luxury market, the knit designs are combined with architectural symmetry and angles shows the collaboration of the two designer’s roots. 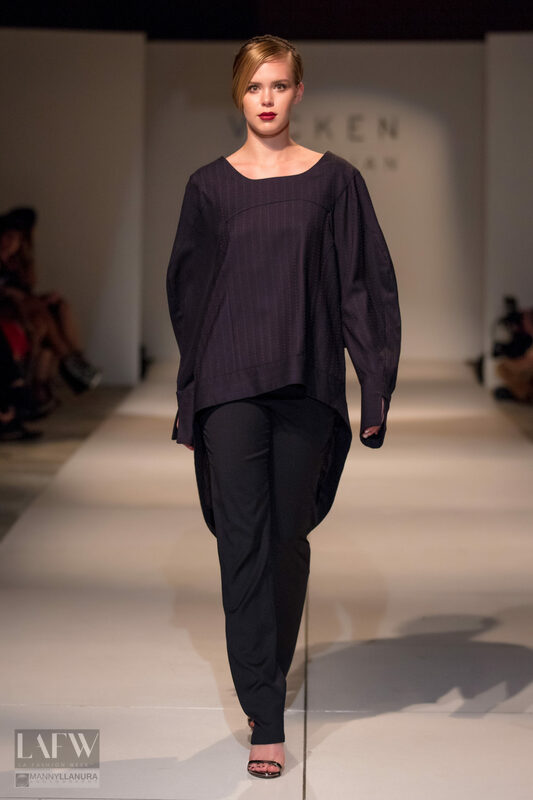 The result is a chic line of clothes that reflect the theme of women empowerment.